When I first thought about the food I would sell in the market, I imagined selling something special, different, food with a twist on the ingredients, but all of those ideas surprisingly changed. 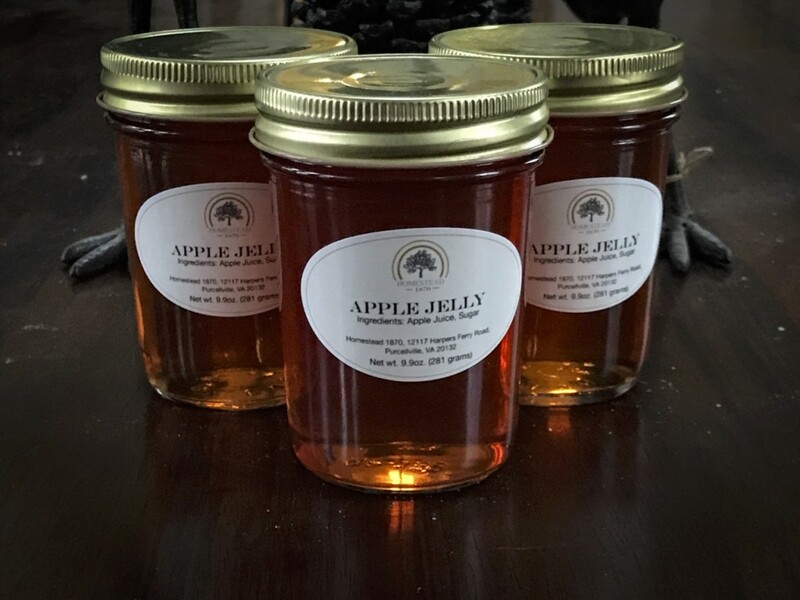 The first product to produce was apple butter made from an old apple tree which has been on the farm for decades. The apple tree produces the best apples I have ever tasted, and they are not easily found outside of farmers markets. Stores focus on “pretty” commercial produce that can handle shipping and sit on grocers’ shelves forever, not for the amazing natural flavor of naturally ripened apple. If at all, many years will pass before humans can genetically alter fruit to have the incredible flavors that nature produces. 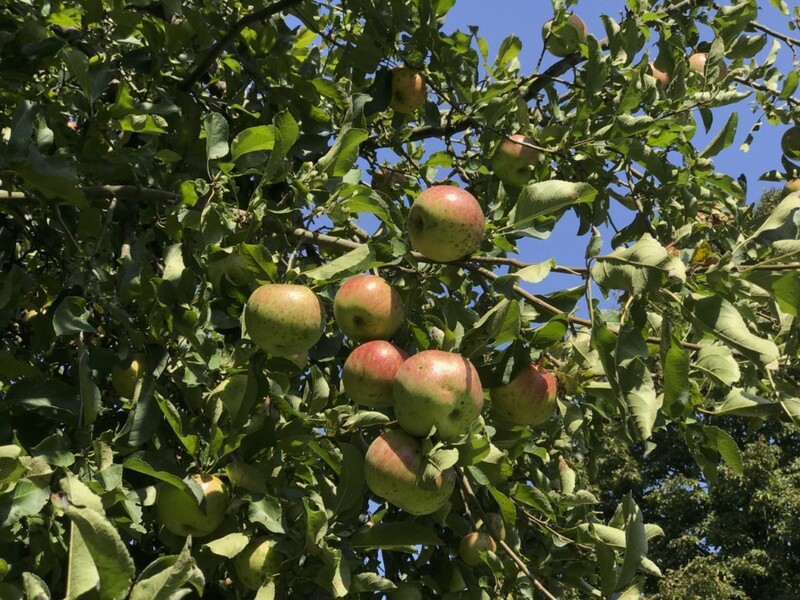 The apples from this old tree are similar to honey crisp, but fresh, these apples have a crisp white flesh, a stronger apple flavor, and more tart, just as sweet, but maybe juicier. These apples are perfect straight, and perfect for cooking due to that amazing pucker. The apples will be available late fall, and consumed or cooked within a couple months, these apples turn brown! In working with a friend, I began down the road of learning the ancient secrets of canning. He gave me a special insight that he learned from his grandmother down on a farm. When he reviewed the recipe I provided for the apple butter I wanted to make, he cringed. As he saw it, this is an ancient art, and there are tried and true ways to make apple butter. I should not mess with perfection. He suggested I do something contrary to what I was planning. He suggested I take almost all of the other ingredients out. I really wanted people to experience new flavors, unique foods. I am not above advice, so we planned a date using a more simple approach. As time passed before our canning date, I thought more about the idea, and the more I thought about it, the more I began to like it. I realized that a homestead was not about fancy twists on traditional items, but it was more about simplicity. The day arrived and we began cooking. I sampled the butter during the cooking process, and gave a spoon to others to taste. I was worried that it did not have a lot of spice, but we proceeded with the original plan. At the end of the process, I was feeling somewhat leery that what was going in the jars was boring. 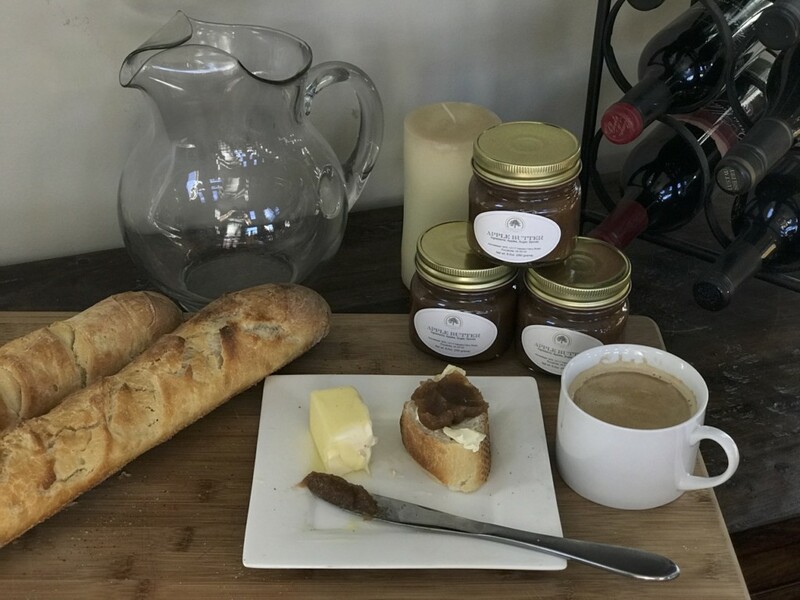 The next morning, after canning, I pulled a jar from the refrigerator that was half filled from the left over apple butter, and spread some on a buttered slice of bread from the homemade baguette I just pulled from the oven. From the first bite, I realized it was a hit. Originally, I did not think about how the apple butter would combine with other ingredients. 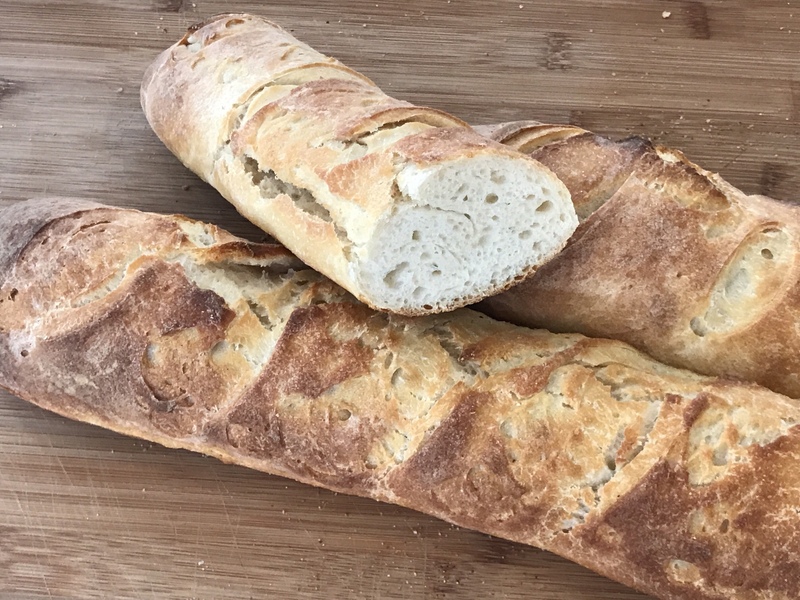 The baguette I make was already an old, super basic recipe that contains bread flour, salt, water, and wild yeasts. The bread alone has a great flavor with tender open crumb, and a thing crispy crust. 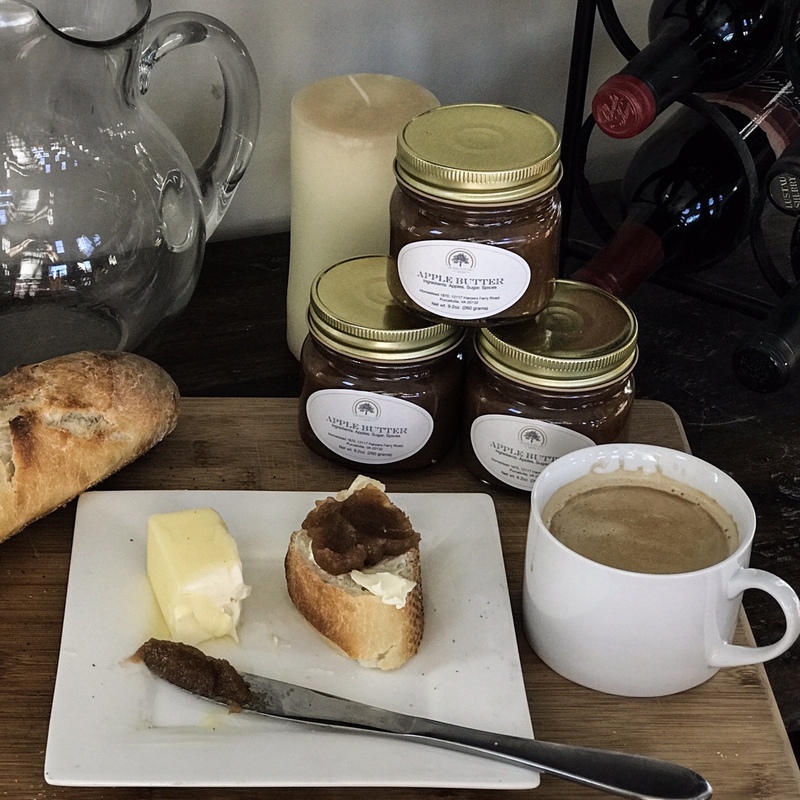 I use real butter, another honest simple ingredient, but when the bread, the butter, and the apple butter combined, it was a unique flavor all its own, because of something I had not realized. Not only was the combination of flavors incredible, the simplicity and honest flavor of the apple butter is like discovering something unique. I experienced something similar when I had a home canned pickle that came in a jar with a sprig of dill, a clove of garlic, and nothing else. The flavor was amazing. I since made a plan on making some myself. When I get cucumbers in Spring, I hope to make pickles. In the end, the idea of olde-time, simple, honest, food won. I am not sure how I missed this idea to start. Nothing made more sense for a homesteader, a farm, to produce products that are simple, honest, perfected many years ago, and then lost. Using the juice left over from the apple butter, I also made some apple jelly.